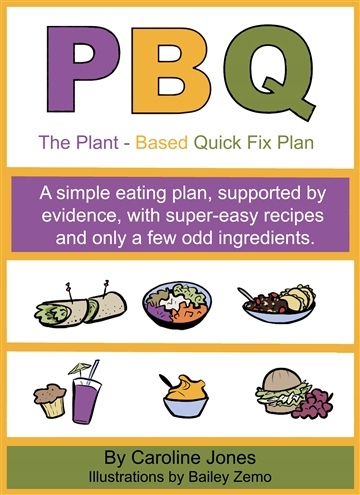 The Plant-Based Quick Fix Plan: A simple eating plan, super-easy recipes, only a few odd ingredients. My greatest wish is to find a way to help others through art. I love to foster creativity, healthy living, or just have a talk over a cup of coffee. I've been immersed all my life in a family of artists including N.C. Wyeth & Howard Pyle. I was particularly influenced by my great-grandmother Ellen Pyle's sensitive treatment of figures on the covers she painted for the Saturday Evening Post. I find joy in putting color on paper. I love to make people happy with art and creativity.Besides art, another one of my passions is healthy living. I closely follow nutrition science, eat a plant-based diet, and do my best to stay in a consistent habit of moving my body, which could include walking the dog, farm chores, weightlifting or running. I also am mother, wife, boat-builder, crafter, student of the Dharma, SLP, and serial blogger with degree in bugs.